I have hunted all my life. I had a slingshot for my first weapon to hunt with. 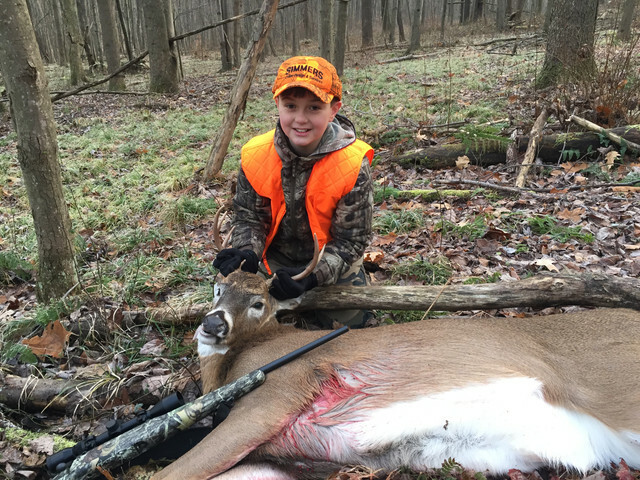 I bought my first rifle at age 10 and have hunted small an big game all my life. I am 70. This evening I was in a stand by my garage and I took a white tailed deer that will help feed me this winter. One shot and I have it hanging to take to the processor tomorrow. I had not shot the rifle for last 11 years. It was right on. We are allowed to take 7 deer so I hope to fill the freezer. I know some do not like hunting but my family always have lived by hunting. I carry this heritage on and hope more will follow. +1 and congrats on the deer. Lots of them around here in Iowa. I try to do my part to keep down the over crowding. Indeed. I will be heading out for whitetail in SW Kansas on Wednesday. David- Feel free to come to PA and set up your deer stand. lol This state ranks near the top in the nation for deer-related auto accidents. State Farm reported 142,000 deer-related crashes for the most recent fiscal year. I guess that means the other car insurance companies are also handling many thousands of cases as well. My wife hit a deer here back in 2001, and I hit one in 2013. I always thought of myself as a driver with lightning reflexes, not going to happen to me. Nope, split second, damn doe jumped right into my driver's side front fender out of nowhere less than a mile from my house late at night. They must be a suicidal animal and they jump right into the headlights. Congrats on taking your deer and I hope you get six more! I'm more the kind of guy who likes to hunt the 2 legged kind of deer! Monday was the first day of buck season here in PA. But with heavy rain showers all day in our area we only seen a few doe and couple small buck. My son and I will be heading back out each night after he gets off the school bus this week and a whole day on Saturday. Like you David, I have been hunting my whole life. My son is 11 now and has been hunting since he was 8. He even saved up money and bought his own .22 caliber pistol at age 9. We have a lot of fun going out hunting and shooting. Good luck to you in the rest of the season. Heres a pic of the buck he got last year. (11-27-2018, 07:15 AM)turtle5353 Wrote: Monday was the first day of buck season here in PA. But with heavy rain showers all day in our area we only seen a few doe and couple small buck. My son and I will be heading back out each night after he gets off the school bus this week and a whole day on Saturday. That's awesome, and I am all for passing along that tradition. I haven't hunted since I was a kid and went along with one of my uncles. The same uncle used to also hunt bear with a .44 magnum handgun with scope attached. lol I was reading an article the other day regarding deer hunting in PA and related issues. Why won't they add Sunday as a day for hunting? Also I saw that people said more and more land is being posted for not hunting. Is this just private property or public land that is being posted for whatever reason. People were saying that the deer eventually realize they can run to these posted areas and they won't be shot at. These are the same deer that jump toward oncoming headlights, so I don't know... I'm all for anything that will thin out the herd. These things aren't exactly like running into a rabbit when you hit them. I took a deer with the front end of my tractor trailer a few years ago in PA, does that count ? Yes if you have ever lived in PA there's a good chance you have hit a deer or two in your lifetime. No matter how careful you are, eventually your gonna get one with a vehicle. Its even worse for the guys on bikes in the summer! Definitely not like hitting a rabbit, but they sure do seem to breed like rabbits!!! My son and I went out after he got off the school bus last night around 4pm. We were only out till about 5:15pm, when it gets dark. We have a small 2 man ladder stand about 200 yards behind the house. In that hour or so we saw 13 doe. I believe there is no Sunday hunting in PA just because its an old school state. PA is a commonwealth and its roots go back to the 13 original colonies. Sunday was a religious day and no hunting was done on Sunday, so they have kinda stuck with that mentality. I maybe mistaken but thats just my view on why there is no hunting on Sunday in PA.
As far as posted land...... YES ! Everyone seems to be posting their land these days. All the private land around is posted and you must have the land owners permission to hunt there. Back when I was a kid, it seemed like you could hunt anywhere. Now you need to be on a land lease or know someone with a lot of property. But the good thing is there is a lot of state game lands open free to the public to hunt on. Less than a mile down the road from my house there is a lot of gamelands to hunt, almost 10,000 acres. Here is a link to a map of the area around my place. I live in Whiskerville. 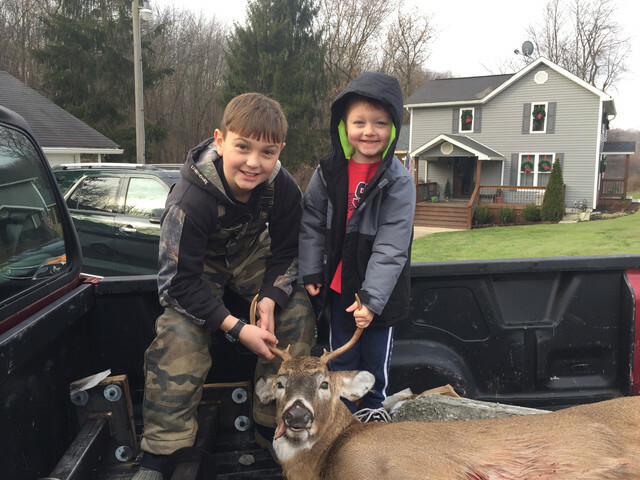 https://www.pgc.pa.gov/HuntTrap/StateGam...L__095.pdf It does seem that the deer know where the posted land is that does not get hunted! LOL!! But I believe its just the presence of a threat in the woods that they can feel and when they don't feel that danger anymore they stop, which is usually in the posted areas. Sure is frustrating to see a bunch of deer just on the other side of those yellow signs!! Anyways that's just my opinion on all this stuff! Good luck to anyone out there trying to bag a buck!!! and BE SAFE! !